I’m really enjoying the late blooming transition from summer to fall as it provides the perfect style opportunity to fold my summer wardrobe into new fall outfits. Only in LA can quintessential summer pieces survive the LA frost to emerge as evergreen staples! In collaboration with DSW, I've put together three of my favorite summer to fall transition outfits bonded together by one very important commonality. They are all paired with my pointy toe animal print flats from the DSW fall collection. The textured detail and fall hue bring a touch of fall warmth to every outfit! My fun Julie Brown zebra printed sundress was an effortless and versatile favorite this summer. I wore it to run errands, to dinner with friends, and even to film a segment for USC. Its tan palette blends well with fall hues so I decided to tuck it inside a midi skirt and layered it with a denim shirt for a work appropriate fall look. 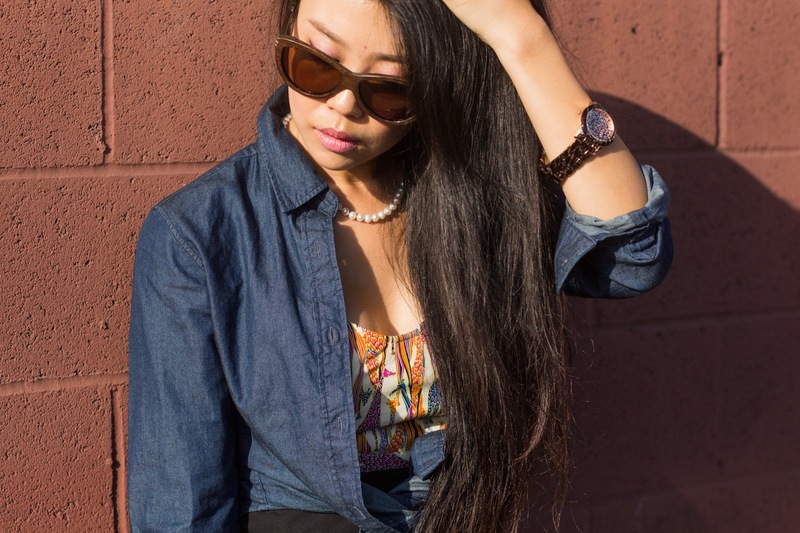 On my recent SF trip, I found myself gallivanting all over Chinatown in a super comfy, super casual denim outfit. My light grey stretchy DSTLD skinny leg jeans were the only pants I wore this past summer as the light color and breathable denim was a good match for the LA heat. To make the transition into fall, I layered with prints of plaid and leopard while softening the look with a light pink beanie. My overalls truly have staying power! I've been wearing them everywhere as they're easy to put on and can be worn with just about anything. Perfect for an air to land outfit, I wore them aboard my flight to SF last week and even after touchdown exploring both Napa and Silicon Valley. 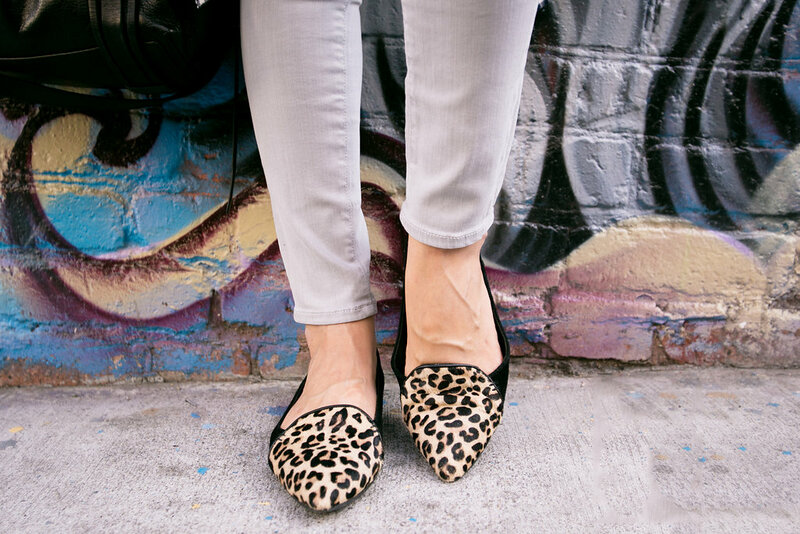 To keep them basic and versatile, I paired mine with a crop top layered with a cozy scarf and added some color pop with my animal print flats. Super cute outfits!! I love the vintage LV!! Love The outfit 1 and 3! 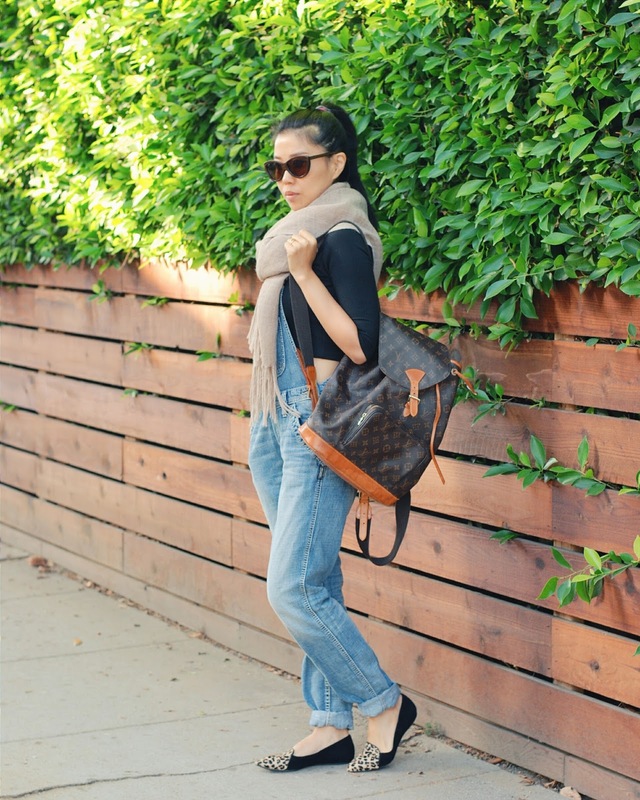 Love your casual chic style, especially the first look! Lovely. Wonderful style with this post. You will get modern design in this blog. Now student will get write my essay for me here. These outfits are amazing!! I can't choose which is best, they are amazing! Although authentic intelligent potential buyers glimpse additionally afield. Quite a few will probably search for to obtain by accessories with European union. This gucci replica belts accessories include incredibly in close proximity connections while using the makers in addition to charges are often very reasonably competitive in addition to you can also find some sort of greater offering of product. This most clever will be possibly tag heuer replica uk additionally afield. There are various very good outlets with breitling replica uk Hong Kong in addition to Singapore of which advertise Switzerland wristwatches. The value is frequently more cost-effective in comparison with with European union or maybe north america in addition to Omega replica uk alternate premiums can certainly appreciably reduce the authentic price tag on the check out. For anyone who is at ease alternate premiums which enables it to cope with this chanel replica sale more stress involving by offshore, you possibly can definitely inevitably be an economical Switzerland check out -- protecting many cash. Just one concept connected with notice nevertheless: If you invest in breitling replica sale by offshore you should primary cord your money or maybe fork out by means of Credit-based card (recall forking over that has a cards suggests this business forking over this credit ratings corporation a portion, and so tend not to fork out that has a cards in addition to bargain yet another selling price decline). 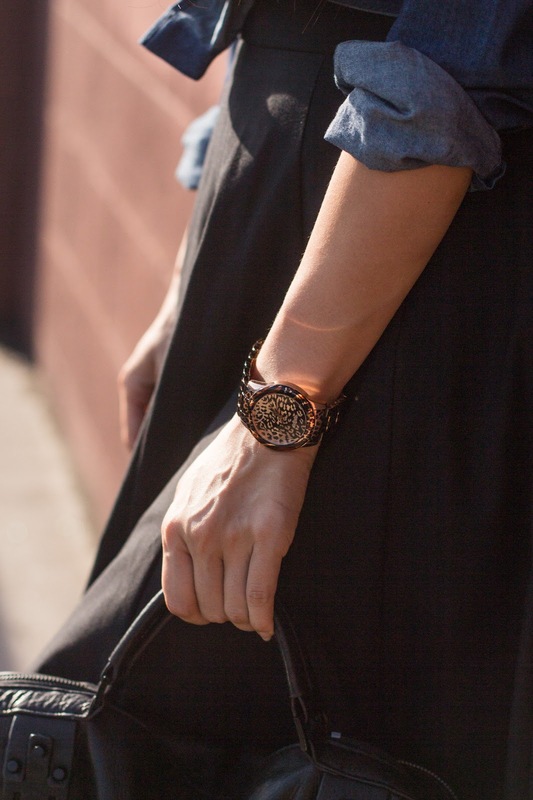 Likewise, you can rolex replicas commonly ought to fax a certain amount of NO .. A different position: You should fork out a compact surcharge towards shipment corporation in the event the check out is usually imported. You possibly can call this company end in and listen to the amount of will probably be.